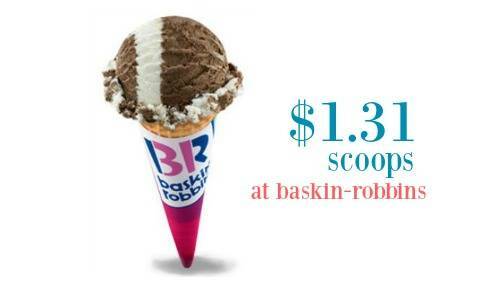 Home > Dining Coupons > Baskin-Robbins: Single Scoop for $1.31! Baskin-Robbins: Single Scoop for $1.31! It’s time for Baskin-Robbins Celebrate 31 again! On 7/31, you can head to your local scoop shop to get a single scoop for $1.31. It may be a good idea to call your local store to see if they are participating. This offer is valid on the 31st of July, August, October, and December.